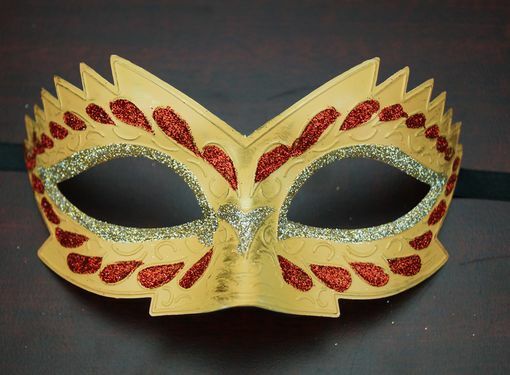 Made out of paper mache, this venetian mask is handpainted with glitter detail. Great size for a ladies face. Wearable with ribbon ties.